I introduced here the different methods one can use to knit small pieces in the round. 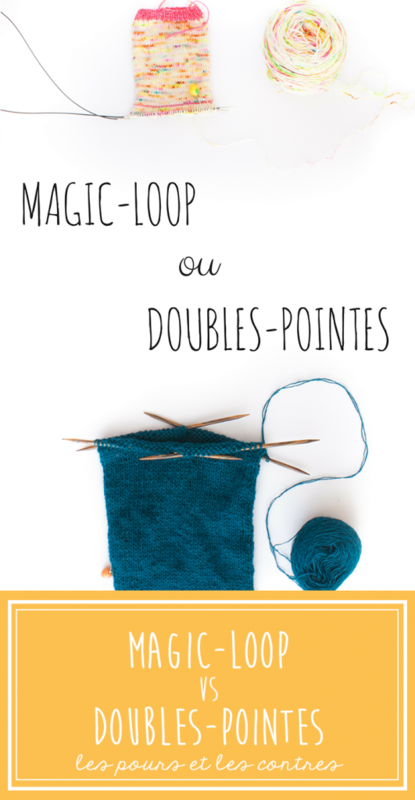 For those of you who are still not sure which one to choose, here is pros and cons of the two popular ones: magic-loop and double-pointed needles (dpns). La collection de doubles-pointes de Fanny. The magic-loop method is worked with circular needles. They exist in metal, bamboo, wood and carbon, choice is up to you. The critical point here is the cable length. To use the magic.loop method, you need to have enough room to create “ears” with your cable on both side of your work. I recommend to start with a 80 cm-long cable. This way you’ll have enough cable to knit any kind of project. 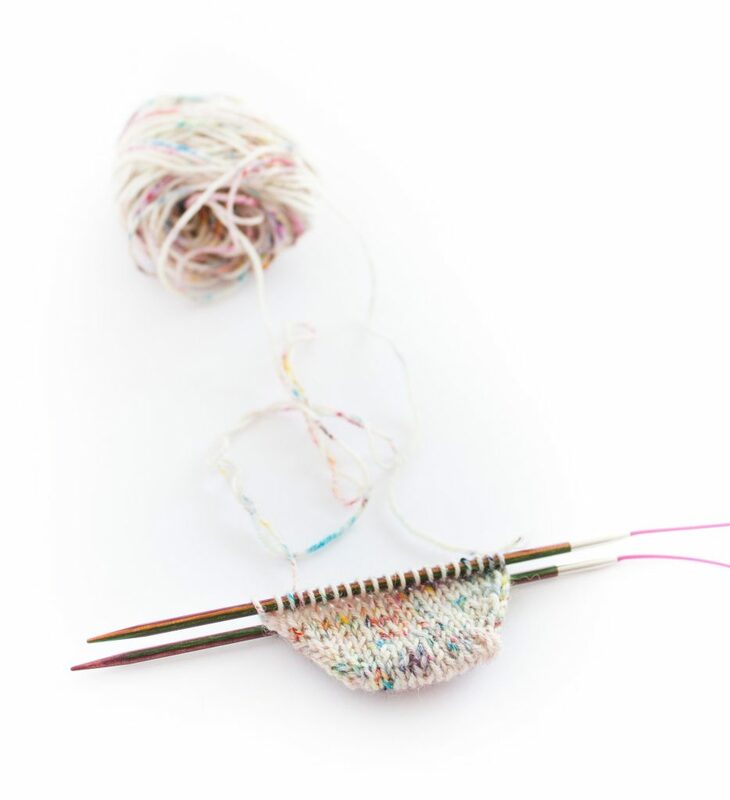 When you’re more comfortable with the process, you can also use 60 cm-long needles for socks. That’s my favourite if I’m working one-sock-at-a-time. Enough cable to work easily and it doesn’t whirl too much. You can find dpns in all kind of materials: metal, bamboo, wood, carbon. You’ll also find different lengths, depending on how big is your work but it’s definitively not a necessity. Toutes les mailles sont bien sagement sur le câble et ne risquent rien. This is a big big pro in the magic-loop corner. With the magic-loop, your stitches are secured. When you stop knitting, you just have to put your stitches on the cable (just pull them) and they will most likely stay put. I can count how many times I had to stop to knit out of the blue and squeeze everything in my bag. Well, thanks to the magic-loop, I only had a couple of accidents (mainly because my keys got caught up my knitting). I’m not a big dream purveyor here, but trust me, those are not big problems. Once you’re used to it, you know when to stop in your train and how to fold everything perfectly to secure those lovely stitches of yours. And you learn to check twice before picking up the spare needle! Lorsqu’une aiguille se casse il est toujours possible de la limer pour faire une aiguille à torsade mais le jeu d’aiguille n’est plus complet. 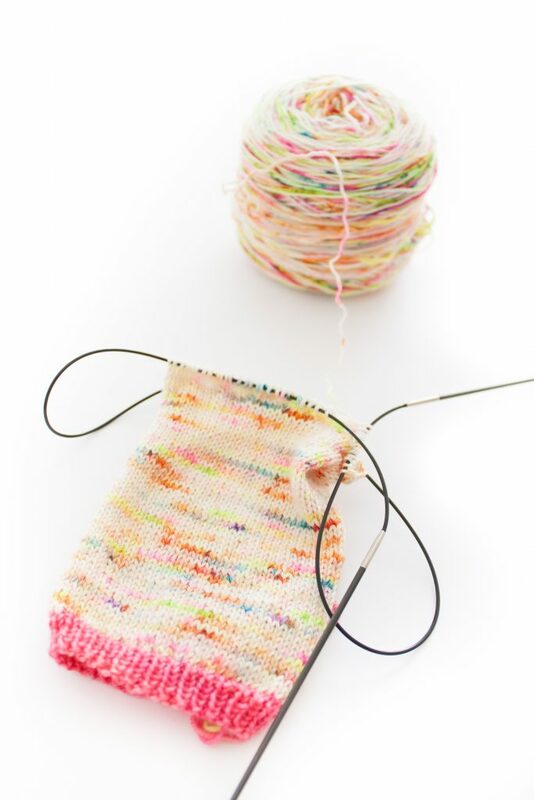 The magic-loop is great when your pattern is worked on half the stitches as in my Happy Dance or A River Life socks. It can quickly turn into a nightmare if you constantly have to move stitches at the beginning of the needles. It’s not difficult to execute, it’s just a bit fiddly. Dpns are great to work all kind of patterns including crossed stitches and decreases. Chloé’s note: Knitting my Champagne sock is easier on dpns than circular needles because there’s a decrease at the beginning of a few rows in the leg pattern. Cela ne vaut pas que pour les chaussettes. Ici par exemple, un hexagone de la couverture Beekeeper Quilt. I find it easier to cast-on with dpns when you need to cast-on a certain amount of stitches. To work socks from the cuff down for example. 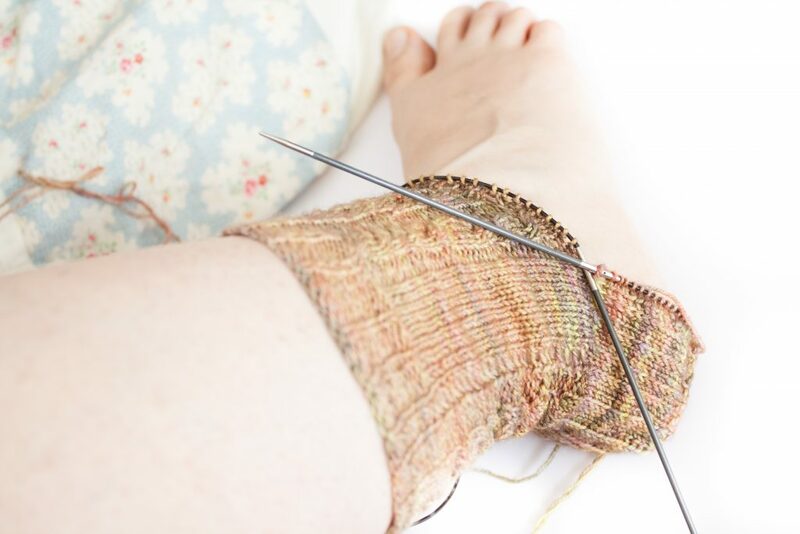 Figure-eigh cast-on or its cousins, which allows you to start your socks from the toes are really tricky on dpns. The cast-on itself and the rows after it. BUT, I never twisted my stitches. And this is priceless! Mon astuce lors de l’enfilage : avoir les aiguilles au niveau du début du rang. On peut alors tirer un peu sur le fil de l’autre côté et ça donne une bonne idée de la tension finale du tricot. Which one is your preferred technique? Did you try both? Do you carry your knitting everywhere as we do?